Uzwil, Switzerland / Düsseldorf, Germany, May 5, 2017 – Bühler’s strategy is based on maintaining innovation and technology leadership for the food industry. Every year, Bühler invests 5% of turnover into Research & Development. Consequently, at Interpack, Bühler presents 20 new products and processes. In industrial chocolate production, high productivity and consistent product quality are key. The availability of sensors, actuators, and IoT technologies open up possibilities for an even more efficient production. At Interpack, Bühler is demonstrating how chocolate mass production will change in the future and is presenting a more intelligent process monitoring and control for DoMiReCo production lines. 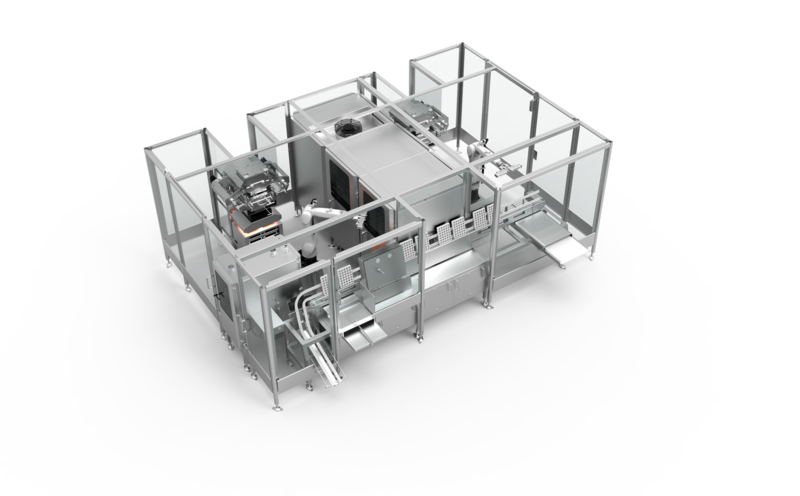 This achieves consistent quality with higher productivity, output and with the requirement for fewer shutdowns. Digital technology enables education wherever it is needed. 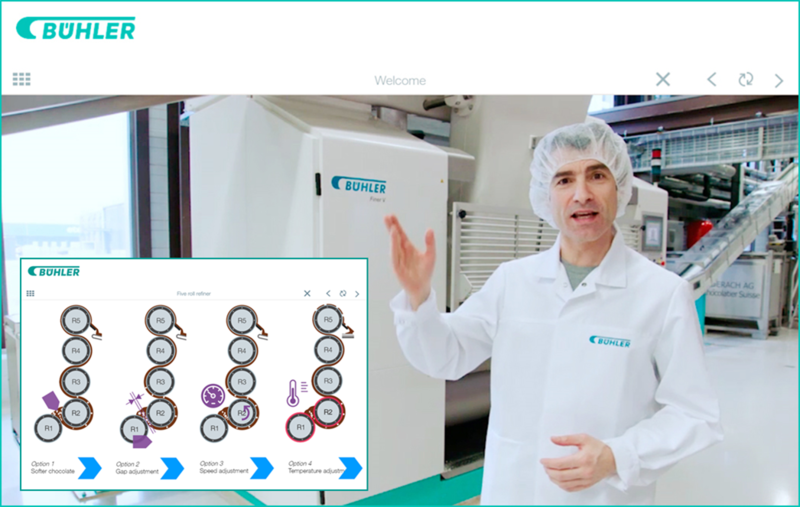 At Interpack, Bühler presents its new online learning platform, ChocoGenius. Focused on people running the processing lines, it includes blended learning with a range of learning videos, tutorials, interactive training modules, and troubleshooting guides. ChocoGenius complements Bühler’s existing training offer that includes application and training centers and the trainings on customer sites. During an internal innovation challenge, Bühler employees developed a new chocolate molding plant with integrated robot technology: ChocoBotic celebrates its world premiere at Interpack. Chocolate processors can now manufacture smaller batches of specialties or seasonal items without having to interrupt production on large plants. ChocoBotic unlocks the opportunities for enterpreneurs to enter into chocolate production or can be employed for new product development or market entry. 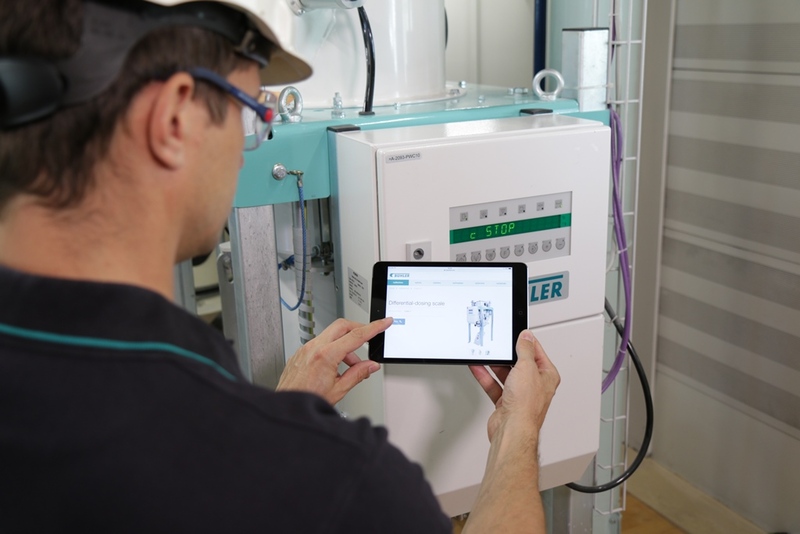 With the new myBühler service portal, customers can directly access a wide range of information and services online: They find an overview of the installed equipment and the manuals. Also, customers have the capability to order spare parts with the click of a button. At Interpack, Bühler presents information about this digital complement to its customer service range. With the Sortex F BioVision, Bühler combines the hygienic design of the F sorting platform with BioVision recognition technology for the first time. BioVision technology uses spectral differences to identify even the smallest deviations, meaning that foreign bodies, such as shell fragments from nuts, can be recognized even when they cannot be distinguished from the actual product in terms of color. Sponge dough and sourdough are ever more popular. 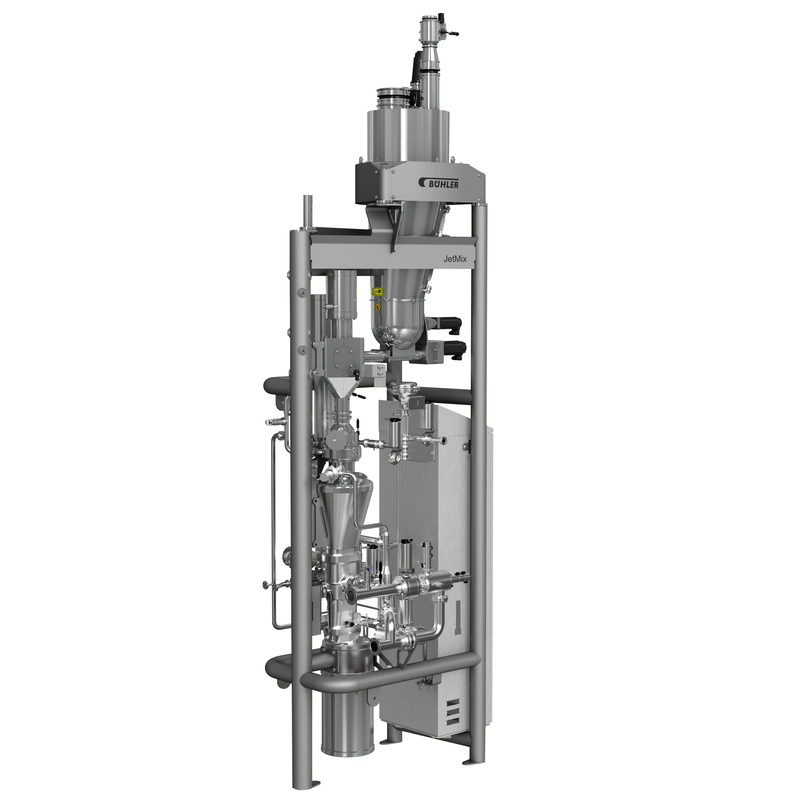 The continuous sponge-dough process, JetMix, combines high sanitary requirements, developed with EHEDG (European Hygienic Engineering and Design Group), with outstanding mixing quality. The sophisticated automation and control enables precise monitoring of the process and the process has push-button automated cleaning. To sustainably supply a growing world population with high-quality proteins, non animal-based alternatives will be in greater demand in the future. Textured vegetable proteins (TVP), from peas and pulses, for example, are produced through the process of extrusion cooking. In terms of fiber structure and sensory qualities, they become indistinguishable from meat. At Interpack, Bühler presents information about its integrated production solutions for TVP using a broad range of plant protein sources.